Children will love playing with their friends on one of our largest play structures, which can accommodate up to 25 children! 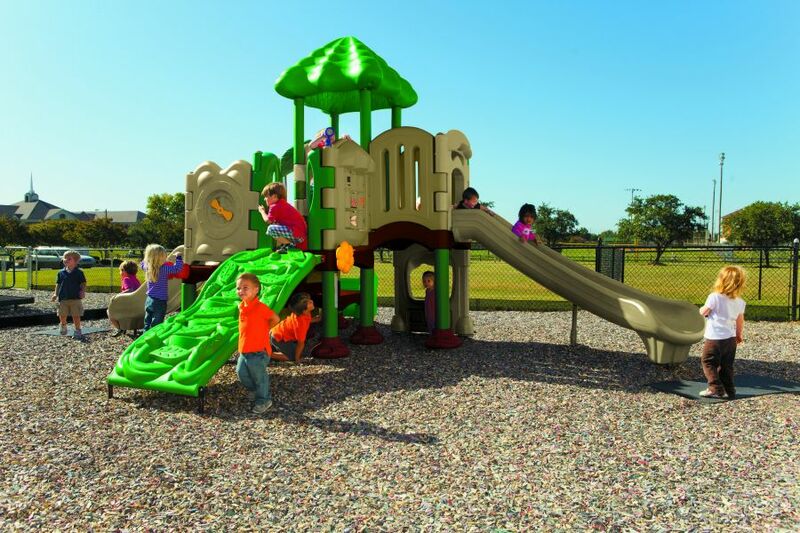 This five-deck structure offers a variety of play activities as well as blending with the natural environment of your play space with our NEW natural color palette. 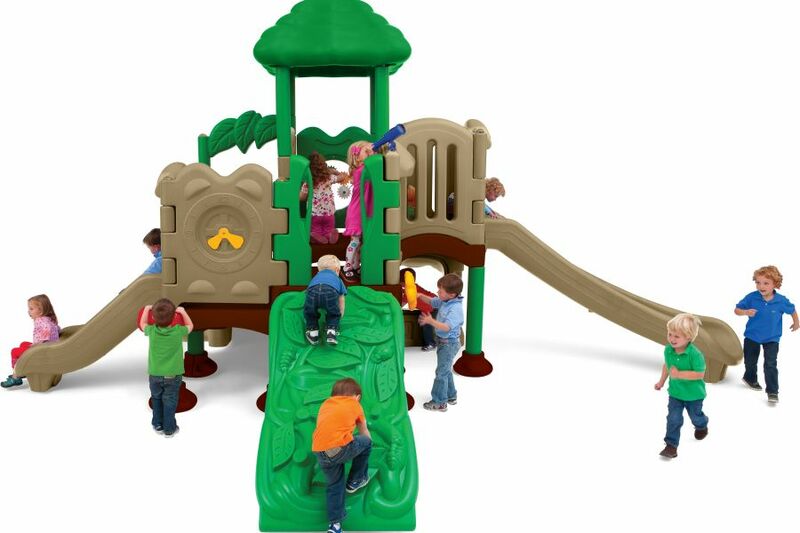 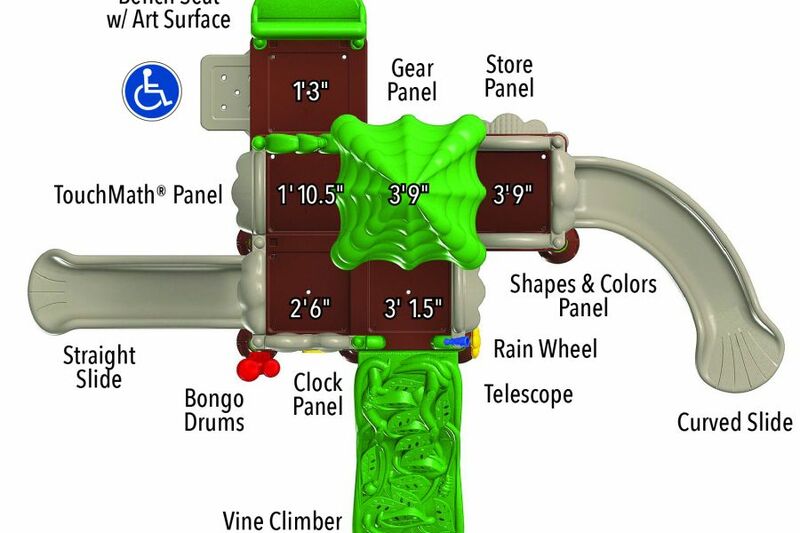 The Discovery Center 5 (both playful and natural) features the longest slide in the Discovery Center product line for the most adventurous 2-5 year olds. 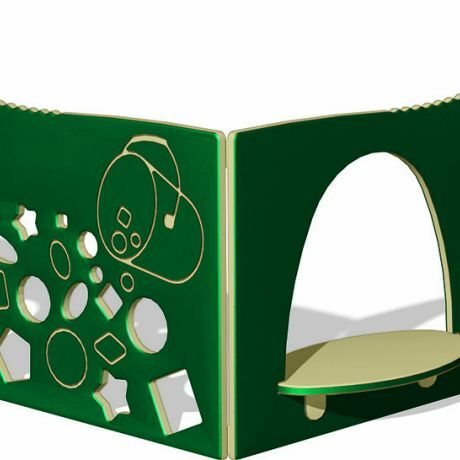 While robust, this structure also allows for increased teacher interaction with the transparent barrier and window panels. 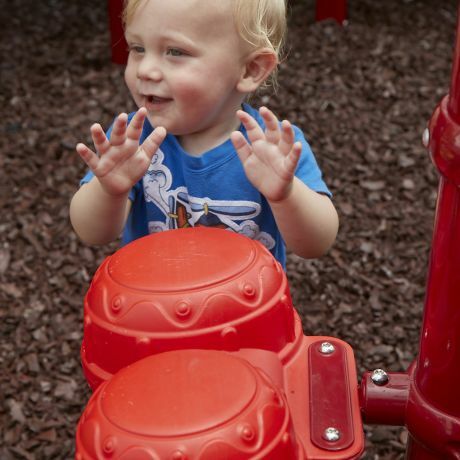 This structure encourages outdoor multi-sensory learning as children play and interact with components designed to build key developmental skills such as: fine and gross motor, science, dramatic play, music, and math! 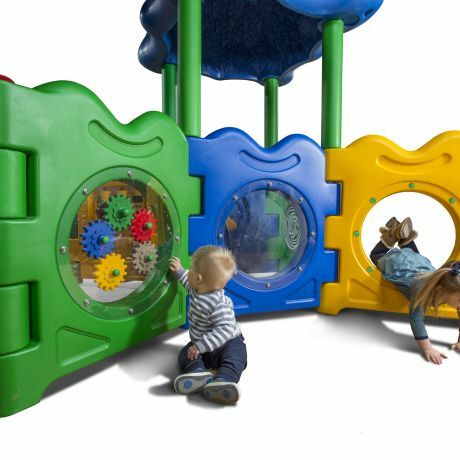 All Discovery Centers for 2-5 years exclusively feature an interactive TouchMath learning panel and free printed award-winning math curriculum for learning outdoors!